Workplaces in Thailand are safer than ever before, thanks to the imperative contributions made by Occupational Health and Safety professionals. Our Bachelors of Science in Occupational Health and Safety shall prepare you with the knowledge and skills needed for discovering and applying preventive measures that ensure minimal occurrences of employee injuries and illnesses. After completion of the program, you shall be ready to: anticipate, evaluate and prevent all hazards in the workplaces, assist top-level executives for efficiently managing the welfare of the employees, and restore hazardous workplaces to safer and healthier conditions. St Theresa International College is proud to be one of the few selected institutes to offer the bilingual program for the Bachelors of Science in Occupational Health and Safety. Students enrolled in the program shall have a first-hand glimpse into occupational health policies and procedures that are established not only in Thailand but also around the world. Completion of the program means that you will be ready to work for both national and international industries. Courses are designed to help you develop skills needed for managing health and safety systematization and enforcement of safety regulations in workplaces. Based on a strong science foundation, the program shall encourage you to enhance professional scientific skills such as the ability to utilize advanced technologies, observation, precision, and critical thinking. During the final year of the program, you will be required to undertake internship in actual workplaces that are linked to the College. Through internships, students will develop their skills as they apply learning directly into practice. Students shall be able to incorporate health and safety related measures in the workplace. Students shall be able to examine the workplace in order to identify hazards. Students shall be able to formulate solutions which will help in mitigating hazards. Students shall be able to collaborate with professionals of other disciplines in order to minimize/prevent hazards. Due to Thailand’s stricter labor laws, industries have begun employing more and more occupational health professionals to ensure the safety of workplaces and maintenance of healthy working conditions. This increasing demand for health workers ensures excellent employment opportunities for graduates in Thailand. 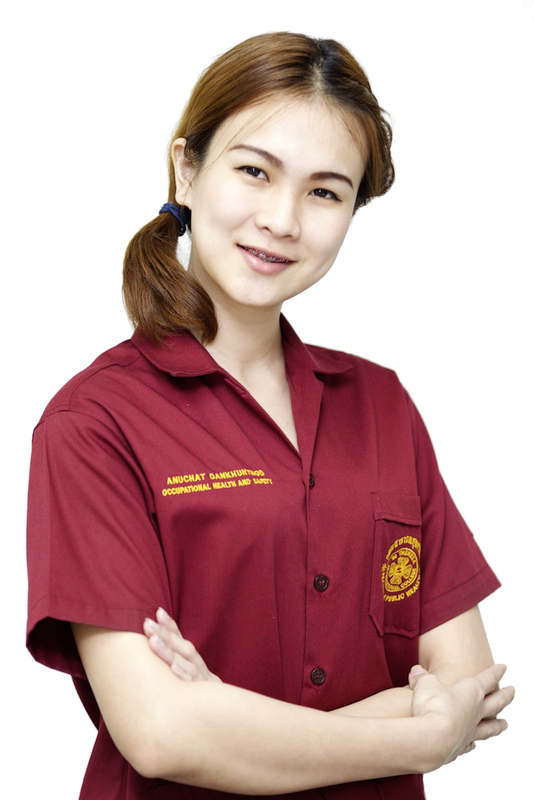 The curricular structure of this program is consistent with the standards required by Thailand’s Ministry of Education and Ministry of Labor, both of whom are the officially recognized accrediting bodies for public health academic programs. Applicants must have successfully completed High School (Matthayom 6) majoring in Science and Maths. Must be of good moral character and psychological capacity, and no contagious diseases.